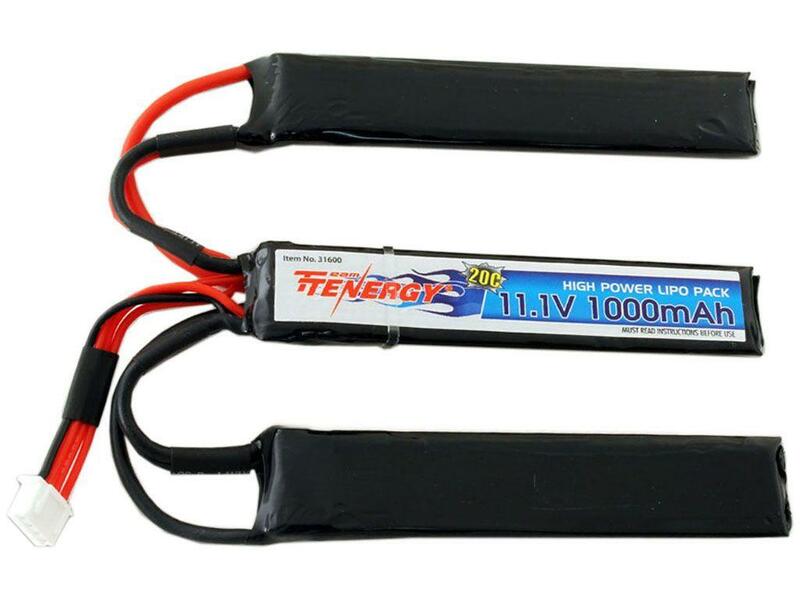 Tenergy 11.1V 1000mAh 3-Cell LiPo Airsoft Battery | ReplicaAirguns.ca | New Website! 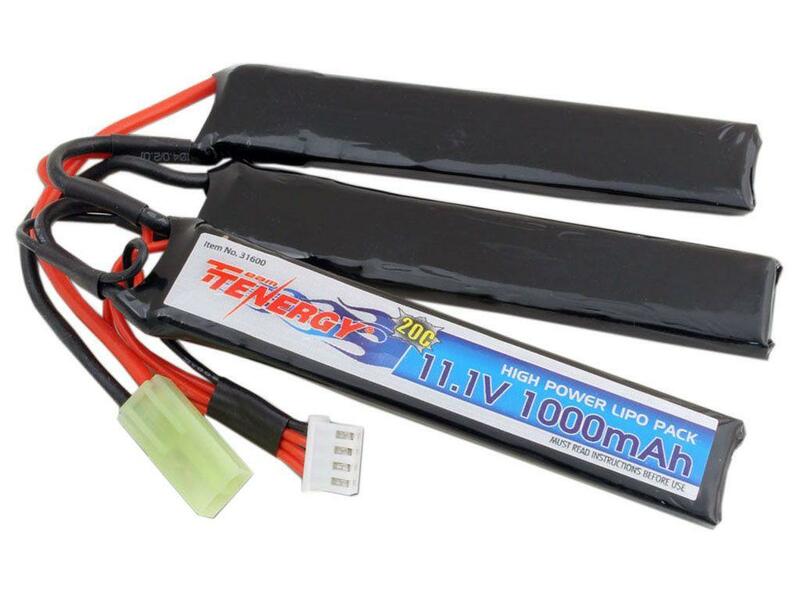 Comments: This high-powered Tenergy battery pack has a 20C continuous discharge rate, 11.1V power, and 1000mAh capacity. When paired with an upgraded gear box, motor, or spring, it will provide your airsoft rifle with a higher, more consistent rate of fire. 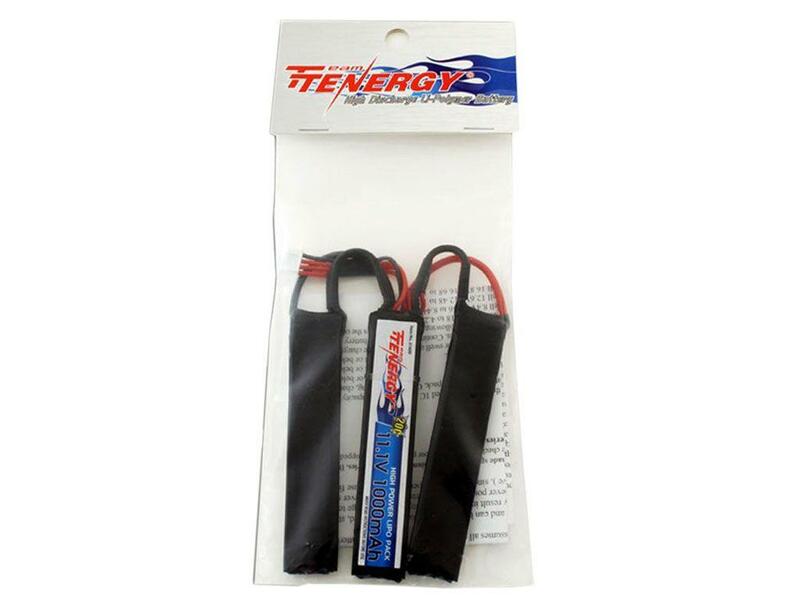 The slim 3-cell configuration is perfect for smaller AEGs that would normally require a PEQ box or battery sling.